Stephen Mullen began by explaining that shortly after he had given a public lecture in 2008, before his book It Wisnae Us was published, he received an anonymous letter. The letter provided a list of the names and ages of several exiled Jacobite rebels who were forced to leave Britain on the Veteran, a ship which sailed from Liverpool to the Leeward Islands in 1747. Once they had arrived, the rebels would have undoubtedly been sold as indentured servants to plantation owners. The anonymous letter writer was upset that the experiences of these “white slaves” were unlikely to be addressed in Stephen’s upcoming book. However, Stephen pointed out that the Veteran never actually reached its final destination, as it was captured by a French privateer off the coast of Antigua. These Jacobite prisoners were released by the French as soon as they reached a French colony, and at least five of these former prisoners joined the French West Indies Regiment. Stephen argued that this is a perfect example of how misunderstandings of Scottish history can create these myths which promote victim-hood in the public consciousness. Mullen stated that there is a public debate hijacked by right-wing groups that compares the aspects of black enslaved labor and white indentured servitude in the 18th century. However, those who equate the experiences of the black slaves to the white servants fail to understand how each of these legal institutions fundamentally differed. In 1661, the Barbados Slave Code marked the birth of chattel slavery, which labelled enslaved African peoples as property. This developed into a hierarchical system based on class and race that was quickly adopted elsewhere in the colonies. Indentured servants still retained their legal person-hood. Black slaves were viewed as subhuman, were listed in plantation inventories next to animals and other property, and were often mutilated as punishment or worked to death. Indentured servants worked for set periods of time, usually somewhere between three and seven years, at which point their period of servitude ended. There are extant records of white indentured servants who were able to progress in society after they completed their contract. For example, John Dunbar was a Jacobite with a well-connected family who was exiled and allowed to sign a seven-year indenture in 1716. As he was transported to the Caribbean, he used a credit supplied by his family to purchase better lodgings on the ship and bought his indenture from the captain. Instead of having to serve his sentence, he took up the life of a mariner, eventually returned to Scotland, and inherited his family’s estate in 1723. Some white Europeans who completed their indenture remained in the New World and went on to progress in society (some even became governors); Stephen emphasized that this was only possible because these people were white, and therefore considered to be human beings. Servitude and slavery were in fact entirely different legal and social realities in the 18th century. Stephen concluded by stating that it is therefore dangerous to equate the experiences of black slaves and white indentured servants, and that historians should engage with the public to address these myths through social media, historical tours, and large-scale cultural events. Michael R. E. Hopcroft began his portion of the lecture by discussing Francis Humbertson Mackenzie (1754-1815), a member of a well-connected elite family of the Scottish Highlands who became the Governor of Barbados in 1800. During his time in the Mediterranean, he invested in twelve plantations in Berbice and owned hundreds of slaves. While he was a philanthropist and patron of the arts in the Highlands, he did not visit or care about the slaves in his plantations. However, Michael stated that this man is unrepresentative of those in the Scottish Highlands who profited from slavery in the Caribbean; there is a misconception that the elites are to blame for the exploitation of slaves. In fact, another Francis Humbertson Mackenzie (1785-1831), who was a carpenter and was the son of a tenant farmer in Ross-shire, went to Berbice in 1805 and became a slave driver. He eventually purchased his own slaves, taught them carpentry and then made money from hiring them out to others. Inventories of his property suggest that he had even taken one of the slaves as his mistress, had two daughters with her, and sold the children as slaves. This is only one example of a pattern visible throughout the Caribbean in the 18th century: many Highlands trades-people went to the colonies to make their fortune through the exploitation of slave labor. While the typical salary of a Highlands tradesperson would total about £50 per year, the records of John McVicar indicate that he, as a carpenter and son of an Argyllshire crofter, made approximately £200 per year in the Caribbean and made an additional £1357 after selling his slaves. The goals of these adventurers varied, but often they wished to purchase their own land back in Scotland with their profits. At least 70% of these individuals would also send money back to their family members in Scotland; the associated letters indicated that the funds were sometimes for coal for the fire, but were sometimes for fashionable items like a watch. 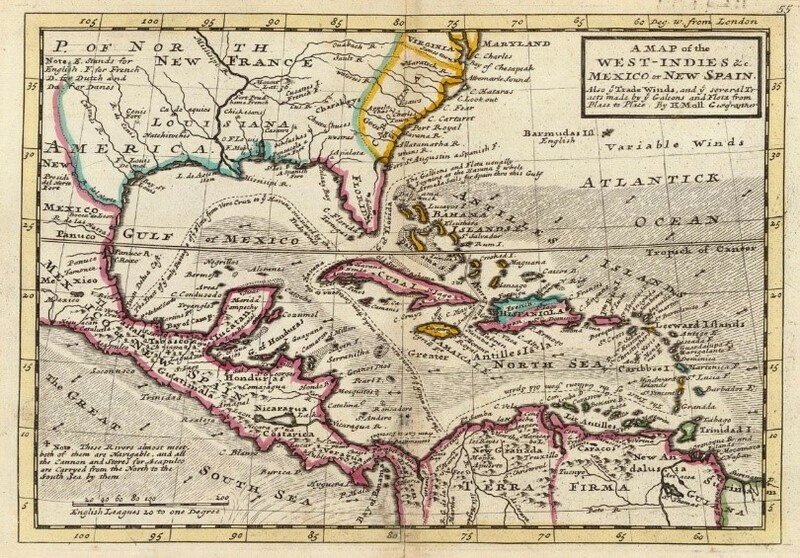 Clearly it is counterproductive to suggest that slaves were only owned by elite individuals, as there is strong evidence for common people who played a part in the exploitation of the Caribbean. Finally, Louise Welsh and Jude Barber discussed their experiences in developing the Empire Café, which was an events programme held from 24 July – 1 August 2014 in the Briggait during the Commonwealth Games in Glasgow. The aim of the Empire Café was to explore Scotland’s relationship with the North Atlantic Slave Trade through tea, cake, poetry, talks, workshops and exhibitions. These events served as mechanisms to discuss challenging subjects with experts in the field from both Scotland and the Caribbean. They emphasized a welcoming, convivial environment full of food where there could be a frank dialogue in an open forum that was not overtly academic in nature. They commissioned poets from both the Caribbean and Scotland to contribute works related to the North Atlantic Slave Trade; the food provided explored the trade and connections between Scotland and the Empire. Artists, historians, and political activists made up the panels that led the conversation about this difficult topic. Overall, the event gained a great deal of attention, and Louise and Jude felt that the value of this type of event was recognized by the public. More information about the Empire Café can be found here. Our seminar series continues on Tuesday, 8 November 2016 with Geraldine Parsons (University of Glasgow) to discuss ‘Expanding the conversation: a previously unedited poem from Acallam na Senórach.’ This will be held in Room 202, 3 University Gardens at 5.30pm. All welcome!